These cool men's glasses are fitted with dark green lenses. 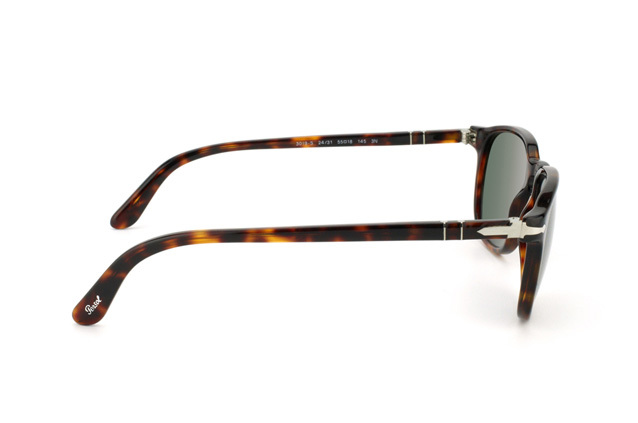 The Persol PO 3019S 24/31 is the smart choice if you want to make a subtle and stylish impression. 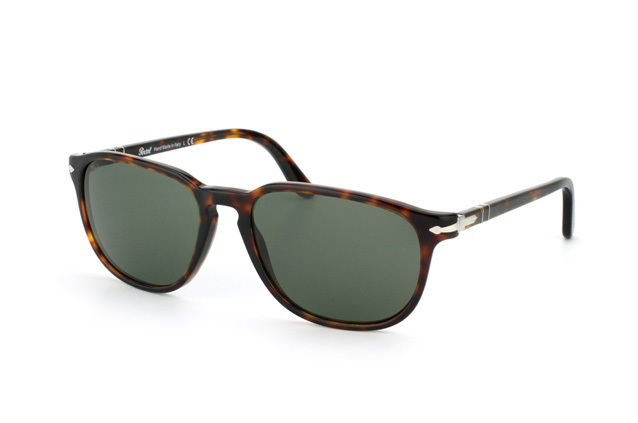 The lenses of these sunglasses by Persol are made from glass rather than plastic, giving them a retro, authentic touch. 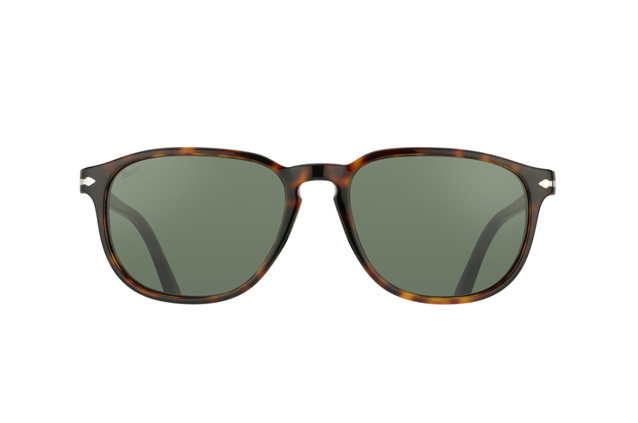 Nevertheless, despite having glass lenses, these sunglasses weigh just 37g, so they will feel very light weight to wear. They also have a UV 400 filter, so they will protect your eyes when the sun is shining. The brown plastic frames are very chic, and will harmonise well with a variety of sunhats and outfits. Ordering sunglasses from Mister Spex is super efficient - just what you need when you are hastily packing for an upcoming holiday. If you place an order for your sunglasses before 2pm, we will ship them the same day. We ship all of our orders via DHL, which is fast and traceable. And, you do not pay any delivery charges. If you want to return your sunglasses, you have up to 30 days to do so.